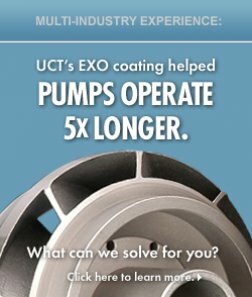 UCT Coatings Government/Defense strategy is committed to the introduction of defense applications to validate the engineering benefits of both our industry-standard coatings and patented surface-engineering coating across aerospace, naval (surface & submersible), ground vehicular, ordnance and weapons sectors. In close coordination with the company’s efforts in commercial arms, associated OEM partnerships, law enforcement and consumers, UCT Coatings remains heavily invested in delivering proven technologies and customer engineering applications to a variety of Government and Defense clients. UCT’s transition to and activation of a cutting edge, world-class manufacturing facility during CY2010 will further expand production and customized application delivery capabilities. By demonstrating our product’s performance attributes, its ability to be scaled up, and long-term government adoption, UCT has proven it can deliver surface-engineering technology that operates successfully in demanding operating environments, aboard many platforms, and in response to many mission profiles.